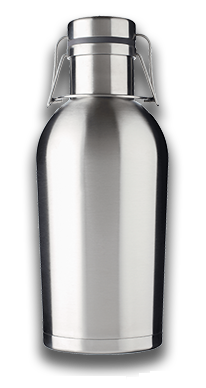 Double wall-vacuum packed version, with 304 stainless steel interior keeps your contents hot or cold for hours & hours. 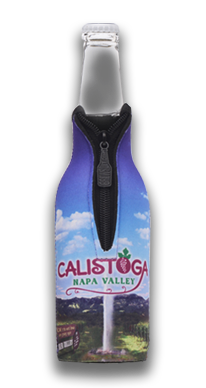 64 oz / ½ gallon up to 2 liters Passivated to ensure tap fresh flavorUnique swing/flip top keeps beer fresher! 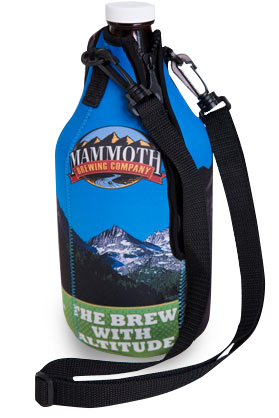 Our Growlersuit™ is a great way to tote your precious cargo with style while showing off your favorite brand. 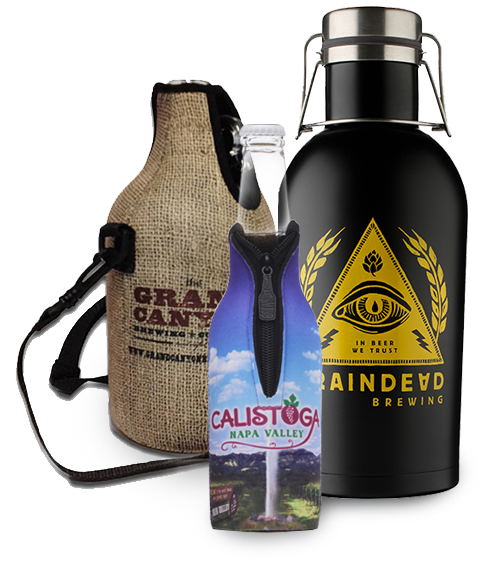 Any size, any shape any color- custom zipper pulls/labels, wipe on/wipe off surfaces, full vibrant color images inside and out..
Way before stainless growlers were the rage, we set out to create a unique vessel that would reflect our over the top standards and 30 years of design experience. 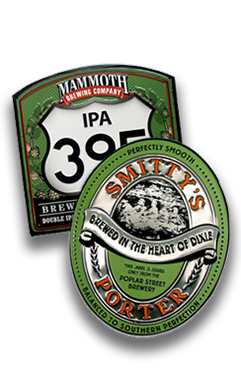 Something folks could use everywhere without worry of breakage or leakage. 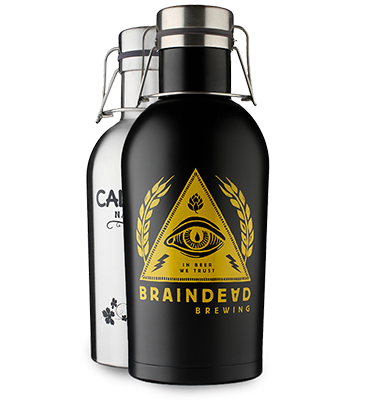 We polled and worked with some of the top brewers in the USA and with their helpwe released the World's 1st Stainless Steel 64oz flip top growler Created for CraftBeer.